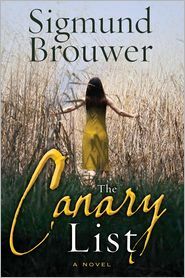 The Canary List is about a young girl, named Jaimie Piper, who can sense when a person is demon possessed. Along with a teacher named Crockett Grey and a psychiatrist named Madelyne Mackenzie she is brought to Vatican City to expose cardinals who are believed to be possessed by demons. Crockett was mourning the anniversary of his daughter’s death when Jaimie Piper came to him asking for help. To keep him from interfering, evidence was planted so he would be falsely accused of pedophilia. However, that backfired, so Crockett was brought to Rome with the others to find out what was happening. O’Hare is the Vatican’s Chief Exorcist, and when Mackenzie told him about Jaimie’s strange behavior and abilities, he saw the opportunity to manipulate the appointment of the new pope. The idea of the book, as I understand it, is to show how people do not often suspect there is another world besides our own. Jaimie Piper is well aware of the “Evil”, as she calls it, that is around her. A minor character in the book, who was hired to kill Jaimie, lives with a demon named Abez. But there are some, like Crockett, who doubt there is a spiritual world. Because of some content, The Canary List is not for younger readers. Exorcism is presented as a placebo for those who want to blame mental illnesses on something or someone else, but there was still mention of it from time to time. It is mentioned that some in the papacy are pedophiles. Abez tries to convince Nathan to kill Crockett’s neighbor, an elderly woman whose testimony would prove his innocence (and it is mentioned that Nathan killed his mother at Abez’s bidding). Actually, I wouldn’t recommend the book to anyone. I was skeptical in the first place about the book, but I thought I’d try it since I enjoyed another of the author’s books. 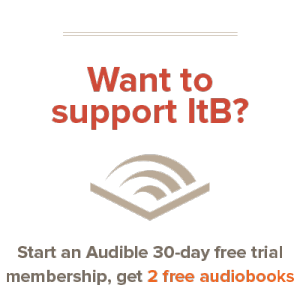 I certainly understand book is simply trying to confront an issue. However, I didn’t like The Canary List, for various reasons. It was not graphic, but the beliefs that showed in the book do nothing to help a Christian’s growth. I received this book for free from the publisher for its review; I was not required to write a positive review. @Sweetie Pie: Yes, I do believe demons are real. @Andrew: I haven’t the foggiest idea XD The book came from a blogging for books program, but I’m not sure why I ended up with an advance copy instead of the normal one. I got it a couple weeks after the book came out.